In the event of inclement weather, NVC Tournament Directors will decide whether or not the event will run based on conditions and updated forecasts the morning of the tournament. Tournament cancellations will be posted on NVC's website, Facebook page, and Twitter (@vball_nvc) by 7:30 AM for a Saturday tournament, and 8:30 AM for a Sunday tournament. Teams will not be contacted directly. If a tournament is cancelled, all online payments will be transferred to a future tournament of the team's choosing or refunded. Once a tournament begins, there will be no credits or refunds issued, even if the weather becomes unplayable. If a tournament does run, teams that decide not to show up will not be refunded. Bear in mind that precipitation can be extremely localized: it can be raining inland and not raining at the beach and vice-versa. Please do not make an assumption based on what you see outside of your window, particularly if you live away from the beach. NVC will not cancel a tournament due to light rain, but we will cancel if the forecast calls for persistent showers and/or thunderstorms. 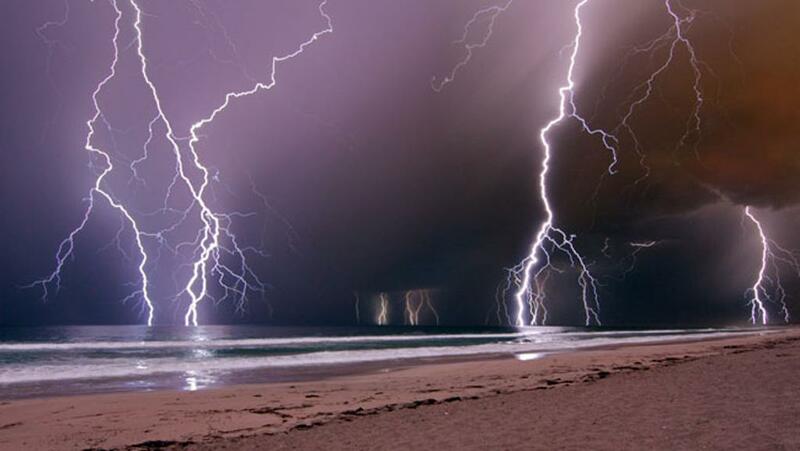 If a thunderstorm arrives at the beach during a tournament which is already underway, play will be suspended due to lightning and all players are to take shelter for the duration of the storm. Once the thunderstorm has passed, play will resume.